A campaign to erect a statue of an Ulster man who was Celtic's first manager has received cross-community support. William Patrick Maley was born in Newry in 1868 and became one of the most successful managers in Scottish football history. He led The Hoops to 30 major trophies, including 16 league championships and 14 Scottish Cups over 43 years as manager. The united support for the statue has come ahead of the 61st anniversary of Maley's death on April 2, 1958. 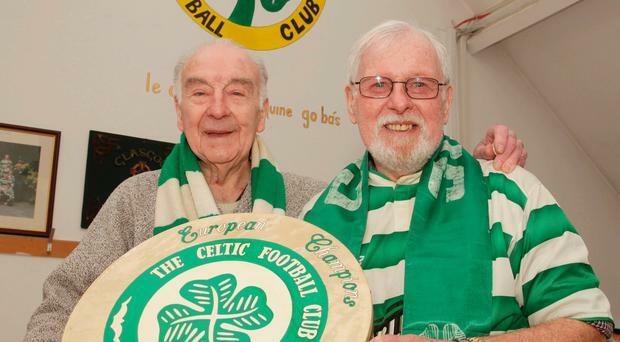 Newry, Mourne and Down District Council has met with the new Willie Maley Supporters' Club in the city "to explore potential funding opportunities for a statue". And it has received backing from politicians on both sides of the community. Ulster Unionist councillor and Rangers supporter David Taylor put football rivalry aside to support the move. "I am a committed Glasgow Rangers fan and despite the intense rivalry that exists between the Old Firm, I certainly would have no issue with a statue being erected in Newry to Willie Maley," he said. "It is clear that Willie Maley had an extremely successful tenure as manager of Glasgow Celtic and it is only right that the town where he was born offers some form of recognition to his career." Newry Sinn Fein councillor Charlie Casey, a lifelong Celtic fan, also gave his support for the statue outside the former Army barracks in Mourne View Park, the birthplace of the legendary football manager. "As well as recognising the fact that he was born here, it would be a great tourist attraction," he said. It follows the discovery of two historic documents linked to the original supporters' club. One is a photograph of the first ever meeting of the club in 1965, which took place at the Protestant Working Men's Club in Bank Parade in Newry. It was provided by Tony McLoughlin who, along with Tom McKeown and Philip Hughes, is a surviving member of the original club. The other item is a letter penned by the Celtic legend's son Charlie ahead of their 1967 European Cup victory. The current Celtic side are managed by another local man, Lurgan's Neil Lennon.